The Williams Companies, Inc’s. Board of Directors has appointed two new highly-qualified independent directors, Charles “Casey” Cogut and Michael A. Creel, effective immediately. 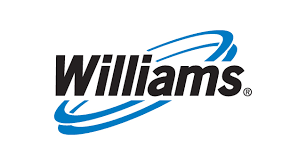 The two new directors will stand for election at Williams’ 2017 Annual Meeting of Stockholders, scheduled for May 18, 2017. Cogut and Creel were identified through the board’s previously announced search process. With these appointments, the Williams Board of Directors has completed its previously announced board refreshment plan. The Williams Board now comprises 11 directors, 10 of whom are independent and seven of whom were appointed in 2016. Cogut, recognized as one of the leading corporate lawyers in the United States, is currently senior merger and acquisitions counsel at Simpson Thacher & Bartlett LLP, where he has practiced law for more than 40 years. Over the course of his career, he has specialized in domestic, international and cross-border mergers and acquisitions; corporate governance matters; the representation of special committees of boards of directors; and buyouts and other transactions involving private equity firms. Creel is a highly-skilled and extremely-knowledgeable industry leader, having served as chief executive officer and director of the general partner of Enterprise Products Partners L.P., a leading North American provider of midstream energy services. He is a proven executive with a deep understanding of the midstream sector.